A Royal Co. will demonstrate, the latest version of Vision360 B2B MiNi (5.0) in JCK-2018 at Las Vegas, USA. Royal Co. (ARC) is a developer of renown Vision360 system. It's a dedicated 360° diamond & Jewellery photography system with the highest number of users in 21 countries. This year team ARC will demonstrate its latest & most versatile version of Vision360, which is B2B MiNi "5.0". This version is not only able to render diamond's 360° visualisation but also able to produce optical performance images. The combined output of this system will solve all queries for online diamond purchase and existing users of Vision360 can also get benefitted, as this system can be purchased as whole or as a part. Being a developer, we always thrive for the best and value for money for beloved customers. Surat-based A Royal Co.® and Jaipur based-Gemstone 360, Jaipur have teamed up to present an innovative 360˚ photography system to manufactures and traders in the Jaipur. 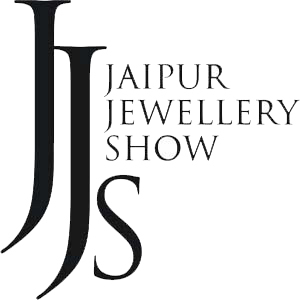 The announcement was made during 14th Jaipur Jewellery Show, last month. The Vision 360˚ system takes the uncertainty out of online Diamond, Gemstone & Jewellery buying. The state-of-the-art system allows sellers and traders to photograph their gemstone and jewellery from every angle, creating images that allow buyers to view them online in lifelike detail.